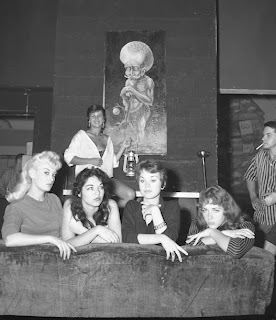 The Haunted Creek Cafe: Photo Fix: Miss Beatnik 1959, Venice, California. What a great photograph. I wonder which one of these young ladies was the hippest of all and the one that was into all areas of the latest jazz, poetry and strange paintings?